Soft cover book and downloadable pdf released on 1 October 2018. Prices and shipping costs for softcover book: €12.00 plus shipping €5.00 – see Shop tab. Please email info@lorg-press.com for softcover orders. Flora MacDonald’s Fancy devised in honour of the Jacobite heroine Flora MacDonald. Most of these stories suggest an origin for a dance anchored in a distant past, but they may also form some level of meaning-making. Are they even true? In many cases not at all. It could be that they were created to help dancers perform certain dances with particular images in mind. This work questions whether there is any actual truth to the stories by taking some of the facts apart. The main questions are: What function did the story have for dance teachers and dancers in the nineteenth and twentieth centuries? Why was it necessary to validate the dances by setting them in antiquity? Are there still purposes served by these stories if and when they are applied today? Also, is it now, or even, was it ever, necessary for dancers to have a certain image, or story, in mind to help them perform these dances in character? By outlining and deliberating on historical references on some of the best-known Scottish solo dances, this overview places these associated stories against a contextual and historical framework. The analysis set out equally to investigate what was, and is currently, the meaning-making behind these stories. 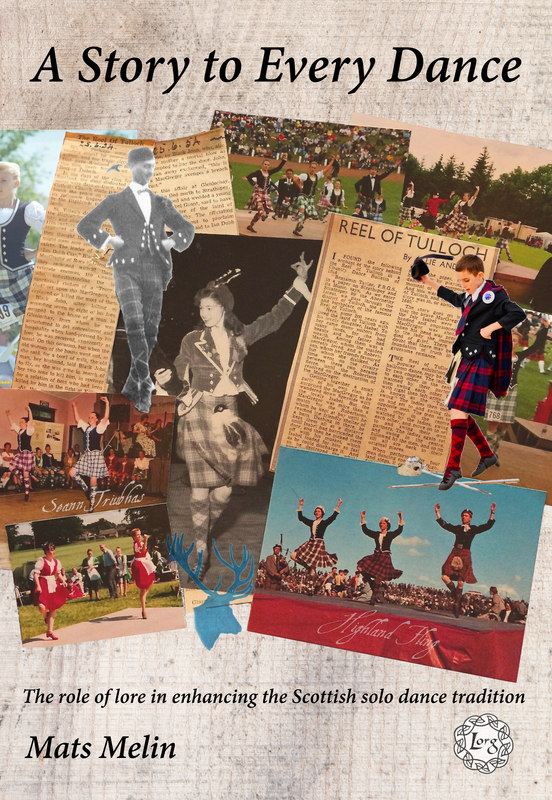 We first take a detailed look at several stories of suggested meaning-making related to the three main dances of the Highland dancing repertoire of today—Highland Fling, the Seann Triubhas and the Sword dance. Each of these has at least one story, that on some level, has lived on into common knowledge among practitioners of Highland dancing today. Three dances with stories relating to the Jacobite rising of 1745–1746 are discussed next, where we ask if they have any real connection with this historical event. After that, I explore ten ‘miscellaneous’ dances (including Blue Bonnets, Highland Laddie and Wilt thou go to the Barracks, Johnnie?) each of which have stories unrelated to each other, but which are in some way used to explain the purpose of the dance or the step pattern or style in which the dances are thought to have been danced. 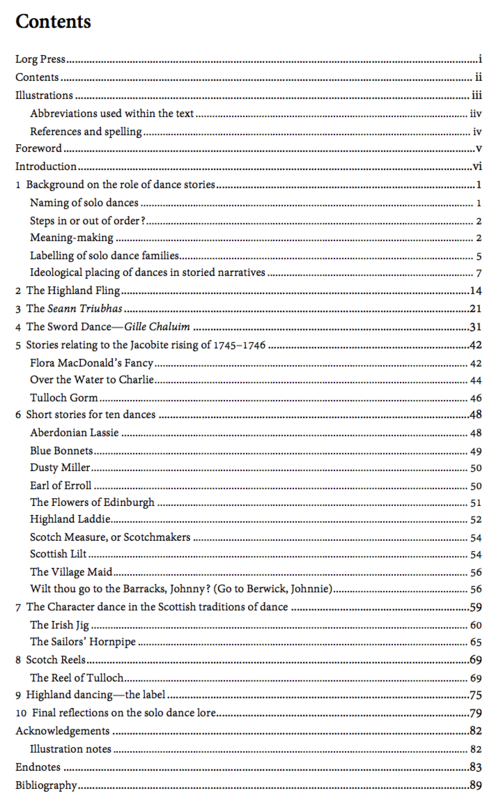 Next, I discuss two Character Dances found in the Scottish solo dance repertoire, the Irish Jig and the Sailors’ Hornpipe, which, both have particular sets of storylines associated with them. Lastly, it is also worth examining one group dance, the Reel of Tulloch, closely associated with the competitive solo dance scene in the last 100 years or so. The Highland Reel, in its many manifestations[i], was at one time the most common dance of Scots and does not seem to have any stories attached to it at all, with the exception of the later and specifically named form, the Reel of Tulloch, mentioned above. [i] See Flett, 1972, 1973, 1985.